An Art*O*Mat is a retired cigarette vending machine transformed into a fine art vending machine. It’s stocked with miniature works of art (neither dangerous to your health nor to be avoided by pregnant women), many of the objects made by Virginia artists. Tokens can be purchased at the reception desk for $5. Just think, a $5 token, the agony of choosing, the thrill of pulling the knob, and you’re a collector of an original work of art. A matchbox-size bronze sculpture of a logging truck made by a group of 18 artists working near the town of Kumasi in Ghana, or a ring of green beads made by Japanese artist Naoko Higashi, are just two examples of what you’ll find in an Art*O*Mat. Proceeds from the sale of these items will benefit the Longwood Center for the Visual Arts as well as the contributing artists. Founded in 1997, Artists in Cellophane is an arts group led by Clark Whittington that converts retired cigarette vending machines into fine art vending machines. Currently, there are 71 active machines in locations including the Rocky Mount Arts Center, Brennan Children’s Hospital, and the Whitney Museum of Art. The Art*O*Mat has been reviewed in numerous publications including Newsweek, the Chicago Tribune, and the Los Angeles Times. This is the Art-o-mat: an antique cigarette dispenser that has been repurposed to dispense adorable pieces of artwork instead. Each piece costs $5 and is roughly the size of a business card; an affordable, hand-held treasure to give your friends and family with which they can decorate their homes or offices. The artwork featured in the Art-o-mat is provided by artists near and far, with many different forms of art to be seen. 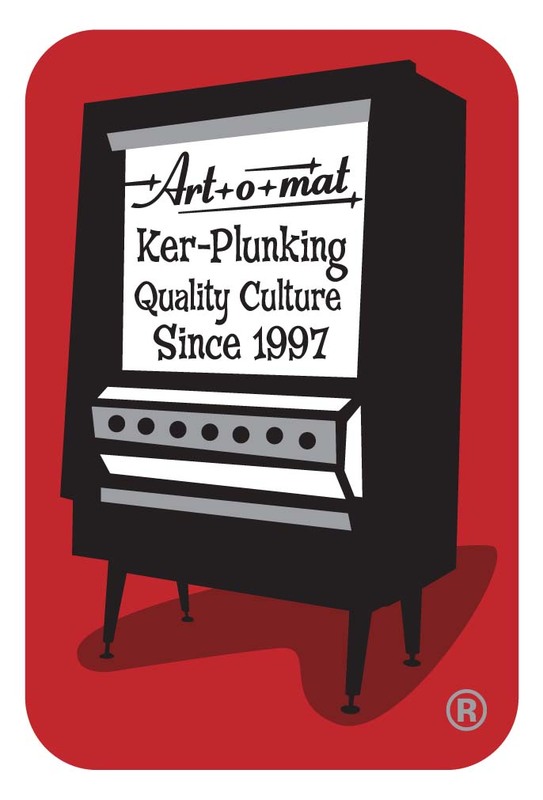 To learn more about Art-o-mat, visit: www.artomat.org.